Cathedral of the First Church of Christ, Scientist. Wow, now that's a cathedral! Ours in the Philippines are downright puny compared to this one! 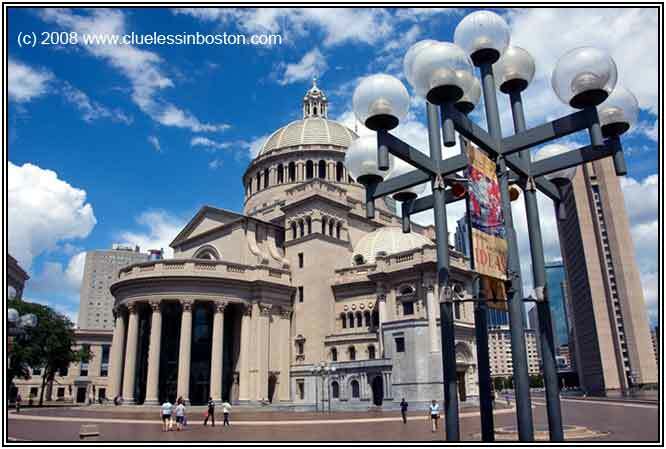 I was in Boston shortly after the tower was built adjacent to the church. At that time the Christian Science Monitor had a 'Globe Room', I think it was called, in the new building. Is it still there?